Real Madrid coach Zinedine Zidane looks on. 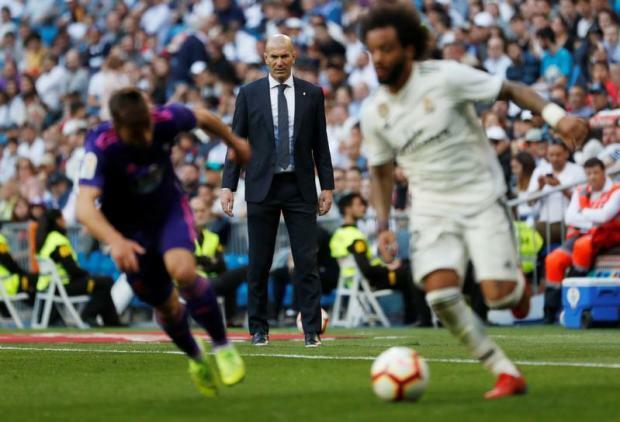 Zinedine Zidane marked his return to the Real Madrid dugout with a victory although Lionel Messi again stole the show in Spain with a magnificent hat-trick as Barcelona continued their march towards the La Liga title. Under-fire Inter coach Luciano Spalletti hit back at his critics with a dramatic 3-2 Milan derby win which lifted his side to third in Serie A.